Help your little ones stay safe! 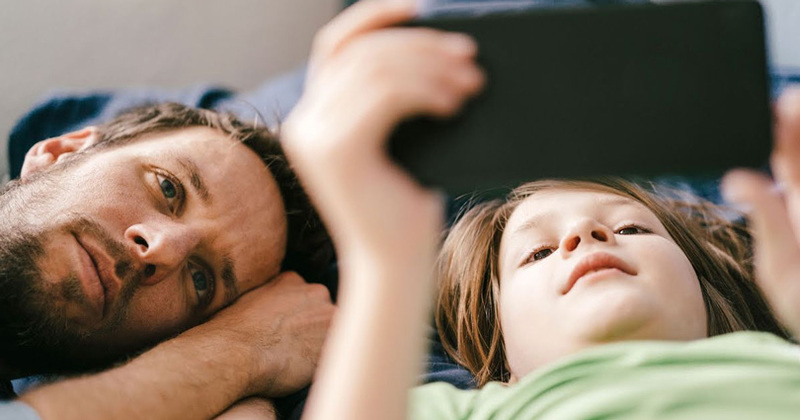 Note that this article is for guidance around parental controls over mobile phones and tablets, and is in no way a guarantee to prevent anyone from accessing any type of digital content. The modern world can be a scary place, and don’t we know it. While many of us grew up with some form of technology, mobile phone and tablets have completely changed the way in which young people interact and relate to one another on the net. If you happen to be a parent, keeping your child safe and helping them to build healthy habits will be a top priority. With that in mind, here are some popular parental control apps for you. One of the most useful parental control additions comes as a standard feature with the iOS 12 update. Screen Time is a handy app that means you can set time limits on your child’s iPhone or iPad. You can even set the limit for certain apps. For instance, you might want to block all social media apps after three hours of usage. Alternately, you could set the timer to switch off access to these apps after 5pm. Oh, and it doesn’t stop there. You can even control your child’s iPhone remotely, helping to prevent them from accessing certain apps or features at various times in the day wherever you are. You may even want to set a time limit for the iPhone or iPad in general, if you want to encourage your children to do something away from their device. Note: Your child needs to have an Android phone for this app to be compatible! While Google Family Link is available for both iOS and Android downloads, you can only use this app to control an Android device. The system allows you to have more control over the apps and content your child views as well as being able to monitor how much screen time they have each day. What’s more, it also offers a ‘one tap’ feature that will immediately halt your child’s access to their device. Simple. However, it’s worth noting that this app is only suitable if you have a child that is under the age of 13. When they reach that threshold, it means that they are able to sign up for their own Google account online. When your child has done that, they will have the option to opt out of mobile phone monitoring, which means that you will no longer control the app. Download Google Family link for free on Android or iOS. Qustodio is a premium app for parents, designed to help control your child’s Android device at just the click of a screen. You should note that the app works on a subscription model, which means that you will need to pay an annual fee to use it. However, the cost is relatively low, coming in a £26.95 per year for the small family plan. That allows you to protect up to three different devices, which is likely enough for most families. Much like Google Family Link, the app means you can monitor your child’s screen time, turn off access with just one tap, and set daily screen limits. However, since this is a premium app, you can also enjoy an array of extra features. These include useful gems such as reading text messages remotely, setting more than one ‘block out’ periods when the phone apps are unavailable, and advanced Facebook monitoring.